Manchester United star, Paul Pogba, is at the centre of a new row after a bust-up with striker Romelu Lukaku. The Frenchman was caught on TV cameras shouting at the Belgian striker midway through the second half against Valencia as tensions mounted at Old Trafford. The Frenchman was fuming that Lukaku wasn’t giving him enough options and he proceeded to shout and throw his arms up in frustration. Reports in the English media had suggested recently that Lukaku had distanced himself from Pogba following the midfielder’s public spat with Jose Mourinho. Lukaku has chosen to step back with the row between player and manager boiling over. The Red Devils could only draw 0-0 with Valencia in the Champions League on Tuesday, meaning they have not won in four games and are amid their worst start to a season for 29 years. The Red Devils have lost three of their first seven Premier League games and already find themselves nine points behind rivals Liverpool and Manchester City. While they have taken four points from their opening two Champions League matches, they have not made it easy for themselves to qualify from their group. 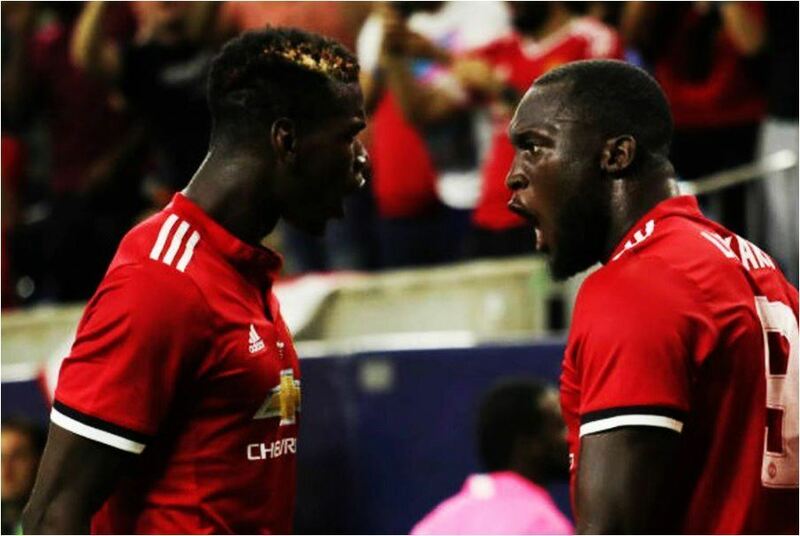 The post EPL: Paul Pogba In Fresh Fight With Lukaku appeared first on Naijaloaded | Nigeria's Most Visited Music & Entertainment Website.